Many soaps are made from animal fats (tallow), but castile soap is made with plant oils such as that from olives, coconuts, avocados, hemp, walnuts, and almonds. 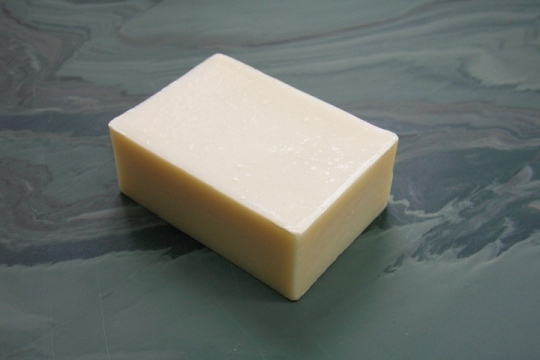 Castile soap is traditionally an olive oil based hard soap. It's origins are difficult to pinpoint exactly, but they trace to such areas as the Eastern Mediterranean, Northern Italy, and the Kingdom of Castile (Spain, today). Castile soaps have been produced for hundreds of years and it is believed that following the Crusades, Aleppo soap (an olive oil and Bay Laurel based castile soap) was brought back to Europe. In time this led to the first soap-making factories in Europe created by Muslims in the 12th century. There are many varieties of castile soap, such as Aleppo and Marseille, which vary based on the type of oil used, and the combination of other ingredients. The purest form of Castile soap is white in color, hard, and odorless, but makers will add their own scented oils or blend in coarse ingredients such as oatmeal for exfoliation purposes. Being made with natural ingredients makes Castile soap a sought after variety of soap by people with sensitive skin and those wishing to be environmentally conscious. You can even buy a Castile base to mix and make your own Castile soap. We are in the process of redesigning the packaging for our handmade 100% Pure Olive Oil Castile Soap and will update this page when we re-launch.